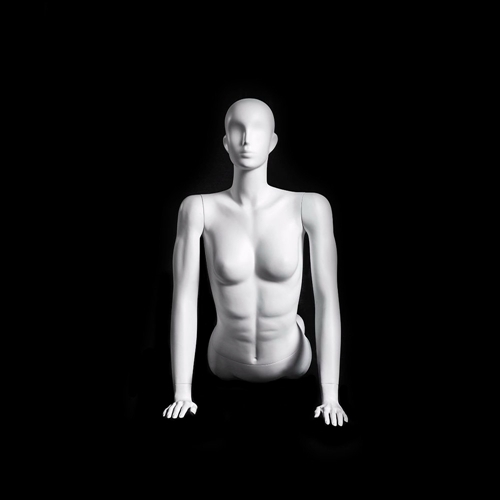 This female yoga mannequin is in a cobra pose with her legs stretched back flat and her chest arching up. She has a glossy pearl finish, soft facial features and a chiseled core. Made of fiberglass with detachable arms, left leg, hands and torso for easy dressing. No base necessary. Clothing NOT included.